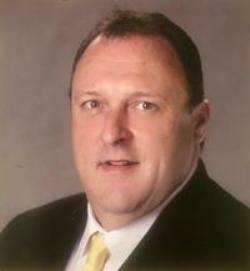 Joseph P. “Joe” Hart, 54, a member of a well-known Greater Lowell family, passed away unexpectedly on Monday February 18, 2019 after a brief illness. Born in Lowell, December 30, 1964, the son of Joan M. (Guthrie) Hart and the late Daniel F. Hart, he attended Bishop Guertin High School in Nashua, NH and went on to graduate from the University of Massachusetts Amherst. Joe worked in the financial industry for over 30 years, as a financial advisor with Marblehead Assets, Santander, and most recently at The Savings Bank in Wakefield, Massachusetts. 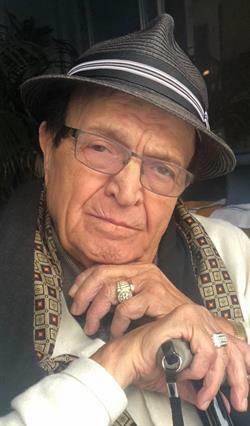 Generous and kind with a great sense of humor, Joe was always the life of the party. Loved by many he will be deeply missed by those who knew him best. 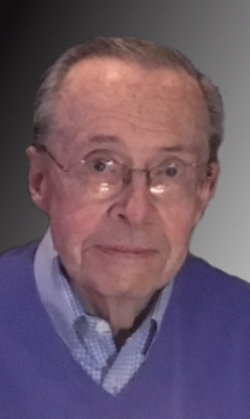 An enthusiastic sports fan, especially baseball, Joe enjoyed spending time with friends and was a member of the Lodge of Elks, Fire Fighters Club, and the Lafayette Club all in Lowell. However, his greatest joy was spending time with his children, Danielle and Michael to cheer them on in all aspects of their lives. Their successes gave him great pride and provided the happiest moments of his life. 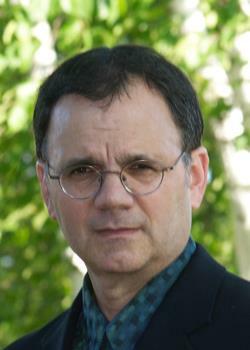 Besides his mother Joan, Joe is survived by his daughter Danielle M. Hart of Lowell; his son Michael P. Hart of Lowell; two sisters Colleen A. Chapman and her husband John of Lowell and Kathleen A. Hart and her husband Armand W. Toutaint of Boston; his brother Daniel F. Hart and his wife Maria of Chelmsford, MA; five nieces and nephews Elizabeth and Kathryn Chapman, Nathan, Evelyn, and Meredith Hart; the mother of his children Renee M. Desabrais–Hart; his best friend of 40 plus years, Neil “Miles” Donahue of Newburyport; and his large extended family of uncles, aunts, and cousins in the Hart, Guthrie, and Desabrais families. 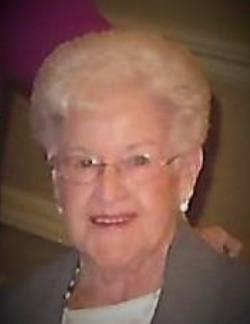 Mildred T. Ralls, 92, of Lowell passed away peacefully Monday morning February 18, 2019 at the Willow Manor in Lowell. A lifelong city resident, she was born in Lowell, Massachusetts on November 10, 1926. She was a daughter of the late Peter and the late Margaret (Lavery) Ralls. She attended Lowell schools and Lowell High School. Prior to her retirement, she was a House Mother at the former Tewksbury Hospital School of Nursing. Previously, she worked at Western Electric in North Andover. Active with her church, first at the Immaculate Conception in her youth but for most of her life at St. Margaret of Scotland Parish in the Highlands, she was an extraordinary minister and a member of the Blessed Virgin Sodality of her parish for many years. In addition she was a longtime supporter of Boston Catholic Television. However her most cherished time was when she was with her family. Mildred is survived by her nieces and nephews Thomas J. Ralls of Tucson, Arizona, Gailanne Desmond of Lowell, Carolyn Haskell of Norwood, Donna M. Coffey and her husband Dennis of West Yarmouth, Dorothy Russell Daly of Templeton, Dorothy Ann Babbitt of Brewster, Gary Ralls and his wife Susan of Nashua, NH, Patrick W. Finneral and his wife Valerie of Lowell; many dear grand-nieces and grand-nephews. She was also predeceased by her siblings Agnes Ralls, Thomas Ralls, Margaret Finneral, Mary Ellen Russell, Gertrude Ralls and Austin Ralls. Relatives and friends are invited to attend her Memorial Funeral Mass to be celebrated Monday morning February 25, 2019 at St. Margaret of Scotland Parish at 10 o’clock. Burial will be private. E-condolences/directions at www.odonnellfuneralhome.com. Those wishing may make contributions in her memory to St. Margaret of Scotland Parish Restoration Fund, 374 Stevens St., Lowell, MA 01851. Arrangements by the O’DONNELL FUNERAL HOME – (978) 458-8768. 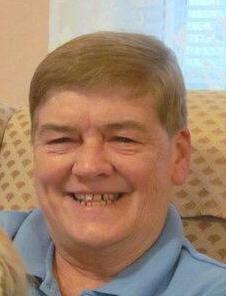 Kathy O’Connor, 68, of Lowell, died peacefully at home with her loving family by her side. Born in Lowell, Massachusetts, September 1, 1950, a daughter of the late Patrick and the late Bridie (Conway) O’Connor, she attended the Immaculate Conception Grammar school and was a graduate of Lowell High School. Before retirement, Kathy was a well known mortgage broker with Northern Mass Telephone Workers Credit Union (nka Align Credit Union) for over 37 years. Over her career, she made many personal and professional friendships. 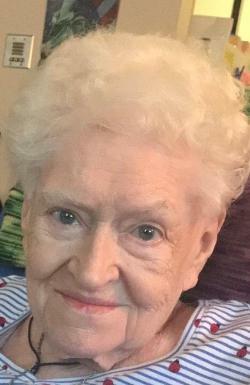 Among her many interests, Kathy enjoyed playing cribbage and being on her computer staying connected, but her most cherished times were with her family and friends. Kathy is survived by her sister Jackie Healy and her husband Robert of Lowell; two nephews Robert W. Healy of Melrose and his wife Anne Marie and Kevin P. Healy and his wife Wendy of Melrose; three grandnephews Timothy, Brian and Brendan; three grandnieces Addison, Lauren and Emily; lifelong family friend Brian Sullivan and his wife Joanne of Hollis, NH; and her brother-in-law William Keegan and his wife Elizabeth of Lowell. She was also predeceased by her sister Patricia O’Connor Keegan and a dear friend Gladys Wood. Friends may call at the O’DONNELL FUNERAL HOME 276 PAWTUCKET ST. at Fletcher from 3 to 7 P.M. Friday. Relatives and friends are invited to attend her Funeral Mass to be celebrated Saturday morning at the IMMACULATE CHURCH at 11 o’clock followed by burial at St. Patrick Cemetery. E-condolences at www.odonnellfuneralhome.com. Those wishing may make contributions in her memory to St. Jude’s Children’s Research Hospital, P.O. Box 1893, Memphis, TN 38101. Arrangements by Funeral Director James F. O’Donnell, Jr. (978) 458-8768. 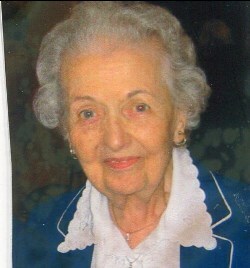 Phyllis (Evans) Panagiotareas, 90, of Lowell, passed away at Palm Manor in Chelmsford surrounded by her loving family. She was the beloved wife of the late Peter Panagiotareas who died in 1986. Born in Lowell, Massachusetts, April 24, 1928, a daughter of the late James and the late Edna (Ryan) Evans, she received her education in the Lowell school system. Phyllis retired from Hanscom Air Force Base in Bedford where she worked as a secretary for many years. A communicant of St. Patrick Church, she was also a member of the Blessed Virgin Sodality of her parish. Phyllis enjoyed her nightly card games with her sisters, travelling and spending time with family and friends. She is survived by her sister-in-law Judith Evans of Dunstable; many nieces, nephews, grandnieces and grandnephews; and her very special grandnephew and grandniece Ryan P. Witts and Ashlyn M. Witts, both of Pepperell. She was predeceased by her siblings Brendan Evans, Carol Evans, Rita Totton, Ann Gacek; and her niece Nancy Desmond. Friends may call at the O’DONNELL FUNERAL HOME 276 PAWTUCKET ST. in LOWELL Friday morning from 9:30 to 11:00 A.M. Relatives and friends are invited to attend her Funeral Mass to be celebrated Friday at ST. PATRICK CHURCH at 11:30 A.M. followed by burial in the Westlawn Cemetery. E-condolences/directions at www.odonnellfuneralhome. Arrangements by Funeral Director James F. O’Donnell, Jr. (978) 458-8768.